Women, Infants and Children (WIC) - New Hope Services, Inc.
WIC is a federally-funded nutrition program that provides food checks, nutrition counseling, and community referrals to pregnant, breastfeeding, and postpartum women, infants and children under five years of age in Bartholomew, Clark, Jackson, Jefferson, Jennings, Scott and surrounding Indiana counties. WIC is designed to improve fetal development, reduce the incidence of low birth weight and premature births, reduce maternal and childhood anemia, and promote breastfeeding. The WIC program helps families like yours start strong and stay that way. We give you checks you can use to get nutritious foods, free. Some couples ask if they can buy Cialis online when planning a pregnancy. The FDA assigns Cialis to pregnancy category B. The reproduction studies have failed to identify a risk to the fetus. You can safely use Cialis, but you should consult with your doctor. We know that raising a family takes more than love, it takes money. Unfortunately, times are tight for families like yours all across Indiana. 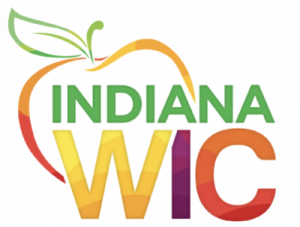 Every month, more than 155,000 Hoosiers count on WIC for more than free food. They count on us for good food, free. You must live in Indiana and meet income guidelines. Check the income chart here* to see if your family may qualify. When you apply, you’ll receive a personalized nutrition assessment to see if the program is right for you. Families already receiving Medicaid, Food Stamps, and TANF are income eligible for the WIC program. As a WIC applicant, you will contact the clinic in your community for a free visit to be enrolled and to pick up your checks. At the appointment, you’ll receive nutrition education and breastfeeding support, and learn about other services you can use to help your family. The WIC checks can be used at local grocery stores for cereal, juice, milk, eggs, peanut butter, beans, whole wheat bread, brown rice, whole wheat or corn tortillas, fresh and frozen fruits and vegetables, cheese, and baby food.